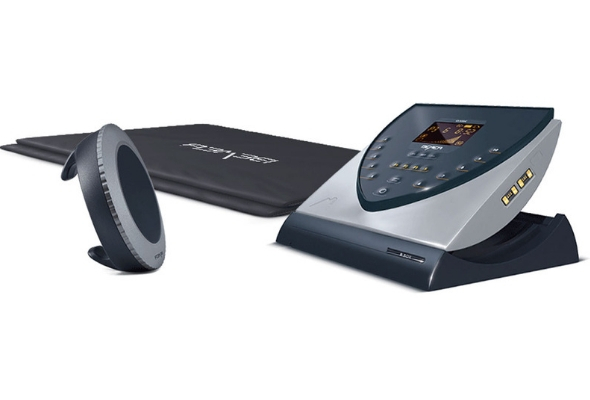 We are now offering (PEMF) Therapy with the use of a Bemer device. Pulsed Electromagnetic Field Therapy (PEMF) devices provide enhancing frequencies to the body consistent with those found in nature. This helps to restore restricted ion flow and stimulates the body’s regeneration process..
BEMER stands for Bio-Electro-Magnetic-Energy- Regulation Mat. Bemer uses PEMF (pulsed electromagnetic field) as a vehicle to deliver a specific pulsed therapy that increases circulation in the small blood vessels, which make up about 75% of our circulatory system. An increase in circulation to the cells helps to better deliver nutrients, red and white blood cells and oxygen more efficiently delivered to the cell. Dr. Kilday’s facts on oxygen and cancer-killing. (Excerpts from Holistic Health Center website) The link between oxygen and cancer is clear. In fact an underlying cause of cancer is low cellular oxygenation levels. In newly formed cells, low levels of oxygen damage respiration enzymes so that the cells cannot produce energy using oxygen. These cells can then turn cancerous. Low oxygen levels in cells may be a fundamental cause of cancer. There are several reasons cells become poorly oxygenated. An overload of toxins clogging up the cells, poor quality cell walls that don’t allow nutrients into the cells, the lack of nutrients needed for respiration, poor circulation and perhaps even low levels of oxygen in the air we breathe. Cancer cells cannot survive in an oxygen rich environment. The effective way to support the body’s fight against cancer would be to get as much oxygen as you can into healthy cells, and improving their ability to utilize oxygen. Raising the oxygen levels of normal cells would help prevent them from becoming cancerous. And increasing oxygen levels in cancer cells to high levels could help kill those cancer cells. Bemer is designed to improve circulation thereby supporting the body’s natural self-regulating processes. Blood is the body’s universal means of transport. Oxygen, nutrients, chemical messengers (e.g. hormones) and immune cells etc. are all transported through our blood. Only when all of our body’s cells, tissues and organs are adequately nourished and all metabolic waste products removed, can we be healthy and productive and our body function properly. The optimal regulation of circulation is a prerequisite for ensuring good levels of health and fitness. Used for 15 years in over 4,000 hospitals/clinics in Europe – this technology is now in joint development with NASA for future space suits. BEMER was developed in Germany and has are over 50 publications showing benefits. There are many PEMF medical devices but Bemer has been shown to be most effective device on the market. Bemer is easy and painless to use, has no side effects, and only requires 8 minute sessions. Call 321-549-0711 for an appointment.